★ Get Right Mode for the Right Time: Forget that lame old standard mode for watching TV. This TV brings to you two specially designed modes. The Indian Cinema Mode is meant for watching Bollywood blockbusters, while the Cricket Mode is just what a cricket fanatic needs. ★ Pretty Colors with the Wide Color Enhancer: Bland, dull, drab - these aren’t the words you would ever use to describe the picture quality on this TV. Thanks to Orwind’s Wide Color Enhancer technology, you can kick back, relax and enjoy watching content on your TV the way it is meant to be. ★ USB-friendly: We can bet that you have an array of awesome content on your computer. Thanks to the Online Movie technology, you can copy content from your laptop or PC onto a pen drive or external HDD and watch it on this Orwind Elite LED TV, right from the comfort of your couch or bed. ★ Light Emission: The Precision Black technology of this TV enhances contrast by controlling light emission and makes every scene more vivid and dramatic. 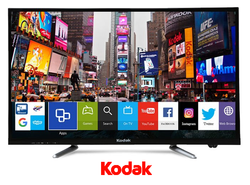 ★ Wireless Connection: With a built-in wireless LAN, this TV allows you to connect to the internet wirelessly and ensures a streamlined connection for faster browsing and streaming videos. ★ 2 x HDMI : For set top box and consoles | 2 x USB : Get content from USB drives | 1 x VGA Port. 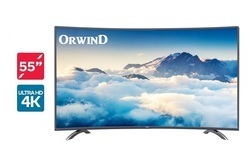 AVAILABLE SIZES: 24/ 32/ 40/ 43/ 55 Inches | ORWIND Elite 24/ 32/ 40/ 43/ 55 Inches Full HD LED Smart TV (2*Hdmi + 2*USB + 1*VGA Port) Description: Be it gaming or watching, invest in this ORWIND Full HD TV and take your entertainment to a whole new level of high-quality immersive experience. 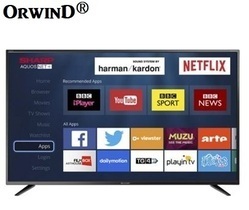 The big display of this Smart TV is ideal for watching your favourite movies or TV shows, browsing social media sites, arranging Video conferences, playing games & much more... Ease into your favorite couch, and enjoy all your entertainment in Ultra resolution on this OrwinD Smart TV. It features a modern design, gives an incredible picture quality, and strikes the perfect balance between style and performance. with a quad core processor, television viewing gets smarter and better. So, no wires and no more clutter for your houses as the 40" fhd smart led tv can be easily connected the wi-fi and lan. So, what are you waiting for Download movies, apps, or whatever it is that you like as you would in your mobile. Filtering noise for added TV viewing pleaserORWIND HD Television Experience crystal-clear programming from your TV with ORWIND’s Clean View. By applying Clean View’s auto noise-removal technology, it removes digital and analog noise that is seen on the screen. The Analog Noise Filter enhances the picture quality by deleting visual noise from both air and cable sources. 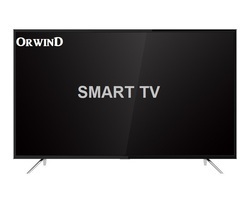 Sit back, relax and watch TV with the best clarity.Best-in-class DurabilityBest-in-class DurabilityORWIND TV is equipped with block capacitors that allows the TV to absorb lightning strikes up to 15 KV. Also, each chipset is coated with Silica Gel and Anti-humidity glue to protect the TV from moisture. 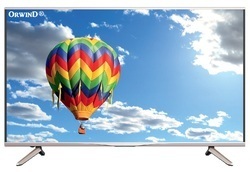 Finally, the TV comes with varistor blocks and capacitor that can withstand up to 750 V of high fluctuation. PRO Real™ PROPRO Real PRO picture processing upscales every pixel for exceptional clarity. As frames are analysed, each scene is matched with our special image database to refine images and reduce noise. Surfaces of buildings and boats are enhanced with extra detail. ClearAudio+Make your listening as lifelike as your viewing. ClearAudio+ fine-tunes TV sound for an immersive, emotionally enriching experience that seems to surround you. Hear music and dialogue with greater clarity and separation, whatever you're watching. Built-in subwooferTake your place in the front row. We've built a subwoofer into this TV so you can feel right at the heart of the action when watching concerts and movies. Hear deep bass riffs, soaring vocals and powerful soundtracks. X-Protection PROEnjoy your entertainment, without any disruption. This TV with X-Protection PRO is extremely durable and protected from dust, humidity, power surges and even lightning strikes.